Nia Jax has received a lot of heat, both backstage and from fans, for what transpired Monday. 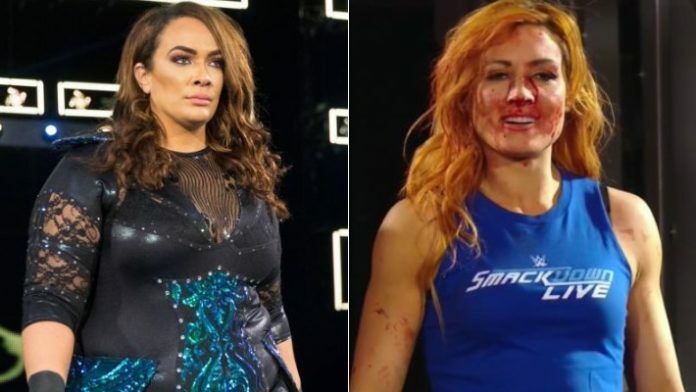 Jax injured SmackDown Live Women’s Champion Becky Lynch during a brawl segment on RAW. Jax hit Lynch with a hard punch that broke the Irishwoman’s nose, forcing her off this weekend’s Survivor Series pay-per-view (PPV). Lynch was initially scheduled to face RAW Women’s Champion Ronda Rousey due to the Champion vs. Champion format of the PPV. With Lynch now off the card due to injury, Charlotte Flair will face Rousey at Survivor Series instead. Jax has been taking a lot of heat online from fans since she injured Lynch. The controversy surrounding Jax injuring Lynch has sparked tons of discussions online. Even former WWE Intercontinental Champion Ryback recently unloaded on F4WOnline’s Bryan Alvarez for critiquing Jax. It will be interesting to see how the situation plays out moving forward.